Restraints in nursing homes are only to be used sparingly, for medically necessary reasons, for a very limited period of time and under close supervision. Unfortunately, too many nursing homes will initiate the use of physical restraints or chemical restraints without the proper justification, procedure or supervision, resulting in serious harm to elderly patients. An investigation by the state health department was initiated after authorities received two complaints alleging two different residents (this one included) were restrained at the facility. Plaintiff’s daughter only found out about the incident after she received an anonymous call from someone who reportedly worked at the nursing home. When plaintiff raised the issue with the nursing home, a supervisor reportedly told her it had already been investigated and there was no proof it had occurred. However, plaintiff now says that review was done quietly and failed to really scratch the surface of what allegedly happened.The health department ultimately formulated a correction plan for the facility. 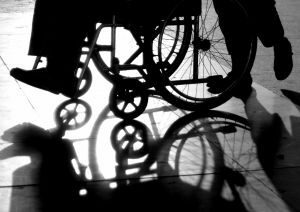 The nursing home abuse lawsuit alleges there was an attempt to cover up wrongdoing at the expense of the residents involved, for whom the facility was paid to provide proper care. The Center for Medicaid Services notes that one of the key rights of nursing home patients is “To be free from restraints.” Specifically, nursing homes aren’t allowed to use physical restraints, such as side rails, or chemical restraints, such as narcotic drugs, to discipline patients or because it’s more convenient for the staffers. Chemical restraint is understood to mean the use of any type of drug that restricts a person’s freedom or movement, mostly for the purpose of sedating a patient. Most of the type, it involves anti-anxiety medications or sedatives. But staffers are breaking the law if they administer these drugs unless they are used to treat a medical condition or to prevent the resident from causing immediate harm to themselves or other individuals. The U.S. Food & Drug Administration has opined there are approximately 15,000 incidents of nursing home injuries and deaths every year stemming from the unnecessary use of anti-psychotic drugs. Unless it’s an absolute emergency, federal law limits the use of chemical restraint to situations wherein a licensed doctor has written an order. Physical restraints, meanwhile, involve any type of mechanical or physical device, material or equipment that is attached to the resident’s body or adjacent to it to restrict movement or normal access to his or her own body. Some facilities have been known to use lap trays or tables, specialized chairs, hand mitts, soft ties, vests, belts or bed rails. In this case, the former staffers who reported the alleged illegal restraint to the health department were later fired. The facility insisted that was because the pair had tried to post about the allegations on social media.